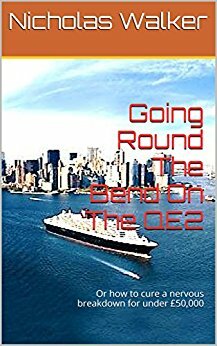 *(Free For Kindle Unlimited) Going Round The Bend On The QE2: Or how to cure a nervous breakdown for under £50,000 (Deal, Not Free) by Nicholas Walker. Price: $2.99. 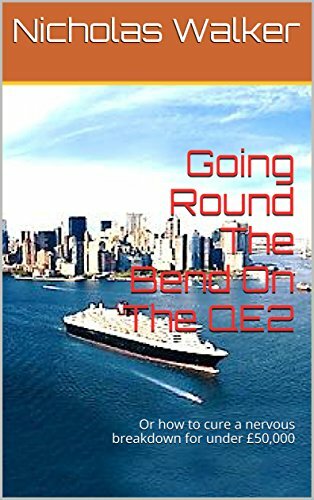 Genre: Nonfiction Book Deal, Sponsor, Travel, Humor, Cruises. Rated: 5 stars on 1 Reviews. 170 pages. ASIN: B00P8KTJT0. Posted on March 30, 2017 Author KibetCategories Free Travel Kindle Books, TravelersLeave a comment on Kindle Travel Deals for Thursday! *How I Found Livingstone. by Henry M. Stanley. Price: Free. Genre: Biographies & Memoirs, Travelers & Explorers. Rated: 4 stars on 78 Reviews. 222 pages. ASIN: B06XVKN3SC. Posted on March 30, 2017 Author KibetCategories Free Travel Kindle Books, memoir, TravelersLeave a comment on Kindle Travel Deals for Wednesday! Posted on March 29, 2017 Author KibetCategories Free Travel Kindle Books, TravelersLeave a comment on Kindle Travel Deals for Tuesday! *15 Weeks: Thailand Diaries – Volume 1. by James King. Price: Free. Genre: Travel, Asia, General. Rated: 5 stars on 5 Reviews. 141 pages. ASIN: B06VWBNYQ8. Posted on March 27, 2017 Author KibetCategories Free Travel Kindle Books, TravelersLeave a comment on Kindle Travel Deals for Sunday! The View From The Blanket: Weekapaug. by Tom Zalaski. Price: Free. Genre: Travel, Travel Writing. Rated: 4.4 stars on 8 Reviews. 162 pages. ASIN: B00DQV6HI4. Posted on March 26, 2017 Author KibetCategories Free Travel Kindle Books, TravelersLeave a comment on Kindle Travel Deals for Saturday! 5 Great Free Kindle Travel Books for Friday! *Ladyboy and the Volunteer. by Susanne Aspley. Price: Free. Genre: Travel, Asia, Southeast. Rated: 5 stars on 11 Reviews. 289 pages. ASIN: B00PYDUX3M. *A Parents Guide to Occupy Kids During Vacations. by Ben Holly. Price: Free. Genre: Travel, Specialty Travel. Rated: 5 stars on 5 Reviews. 22 pages. ASIN: B01KOWEZKY. *A Womans Guide to a Traveling Beauty Kit. by Shanda Moos. Price: Free. Genre: Self-Help. Rated: 5 stars on 4 Reviews. 22 pages. ASIN: B01LK0W15A. Urdu: The Complete Urdu Learning Course for Beginners: Start Speaking Basic Urdu Immediately (Urdu for Beginners, Learn Urdu, Urdu Language). by Project Fluency. Price: Free. Genre: Travel, Asia, India, General. Rated: 4.8 stars on 6 Reviews. 82 pages. ASIN: B01M0BEGKU. Posted on March 25, 2017 Author KibetCategories Free Travel Kindle Books, TravelersLeave a comment on 5 Great Free Kindle Travel Books for Friday! *Hey Kids! Let’s Visit San Francisco: Fun Facts and Amazing Discoveries for Kids (Hey Kids! Let’s Visit #5). by Teresa Mills . Price: Free. Genre: Travel, United States, States, California, San Francisco. Rated: 5 stars on 7 Reviews. ASIN: B01MQL3J8L. Laos: A Concise History, Language, Culture, Cuisine, Transport & Travel Guide (Be a Knowledgeable South East Asia Explorer Book 4). by Wily World Travelers. Price: Free. Genre: Travel, Asia, Southeast. Rated: 4.7 stars on 5 Reviews. 60 pages. ASIN: B06XKL5Z1V. Posted on March 24, 2017 Author KibetCategories Free Travel Kindle Books, history, TravelersLeave a comment on Kindle Travel Deals for Thursday! *Naturism: The Freedom, Excitement, And Joy Of Living Your Life To The Fullest (Benefits Of Nudism, The Freedom Of Being Naked, Stress Relieving). by Andrew O’Neill. Price: Free. Genre: Self-Help, Eating Disorders, Travel, Specialty Travel, Adventure. Rated: 5 stars on 4 Reviews. 30 pages. ASIN: B01F18MBGG. Japan: Japan Travel Guide: The 30 Best Tips For Your Trip To Japan – The Places You Have To See (Tokyo, Kyoto, Osaka, Japan Travel Book 1). by Traveling The World. Price: Free. Genre: Travel, Asia, Japan, Tokyo. Rated: 4.6 stars on 6 Reviews. ASIN: B06XPJ1JSV. Myanmar (Burma): A Concise History, Language, Culture, Cuisine, Transport & Travel Guide (Be a Knowledgeable South East Asia Explorer Book 5). by Wily World Travelers. Price: Free. Genre: Travel, Asia, Myanmar. Rated: 4.5 stars on 6 Reviews. 42 pages. ASIN: B06XK4MX2S. Posted on March 22, 2017 Author KibetCategories Free Travel Kindle Books, TravelersLeave a comment on Kindle Travel Deals for Tuesday! Posted on March 21, 2017 Author KibetCategories Free Travel Kindle Books, TravelersLeave a comment on Kindle Travel Deals for Monday! Searching For Dracula In Romania (Romania Explained To My Friends Abroad Book 4) . by Catalin Gruia. Price: Free. Genre: History, Europe, Romania, Travel. Rated: 4.2 stars on 11 Reviews. 96 pages. ASIN: B00ECCQDJY. RV Living: A Beginner’s Guide To A Free & Adventurous Life On The Road. by Scott McDougall. Price: Free. Genre: Travel, Reference, General. Rated: 4.6 stars on 9 Reviews. 89 pages. ASIN: B06XJRD6GX. Posted on March 20, 2017 Author KibetCategories Free Travel Kindle Books, history, TravelersLeave a comment on Kindle Travel Deals for Sunday!